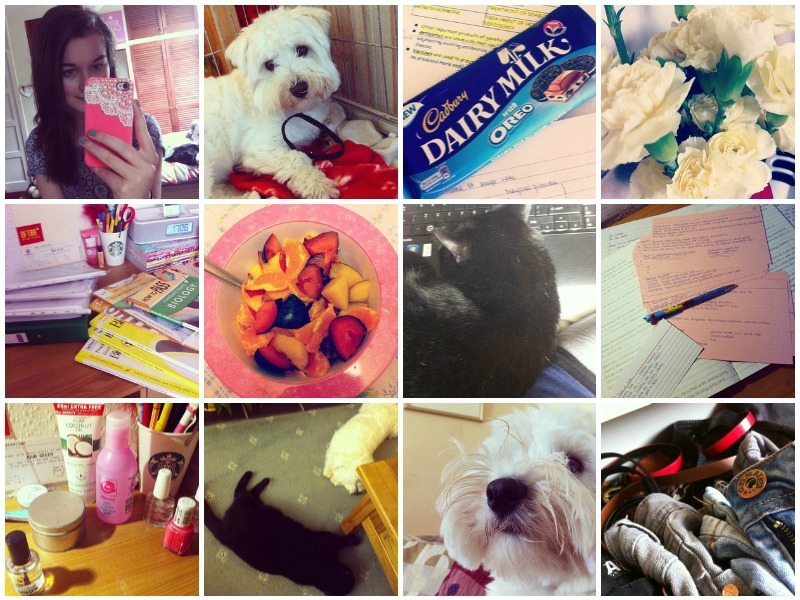 Left to right: New phone case, Belle looking adorabubble, study chocolate, lovely white carnations, getting ready to study biology, my fruit obsession, clingy Millie, studying for modern studies, doing my nails, Millie and Belle having a nap together, Belle's nose, taking photos for my wardrobe feature. Ugh studying is taking over my life too right now, it's terrible! But it's worth it in the long run... at least that's what I keep telling myself ^_^ Congrats on the feature! oreo chocolate.....mmmmmm.... nicest choc I 've EVER had!